Promoting books is just as hard, if not harder, than writing them and I’m always keen to try out new ways of doing so. 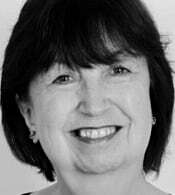 Following the advice of other PYA (Promoting Yorkshire Authors) members, I gave BookHippo a try, succeeded at my second attempt and am now proud to be one of its featured authors! BookHippo (unlike many other promotional websites) makes no charge, although donations are requested in order to keep on expanding. 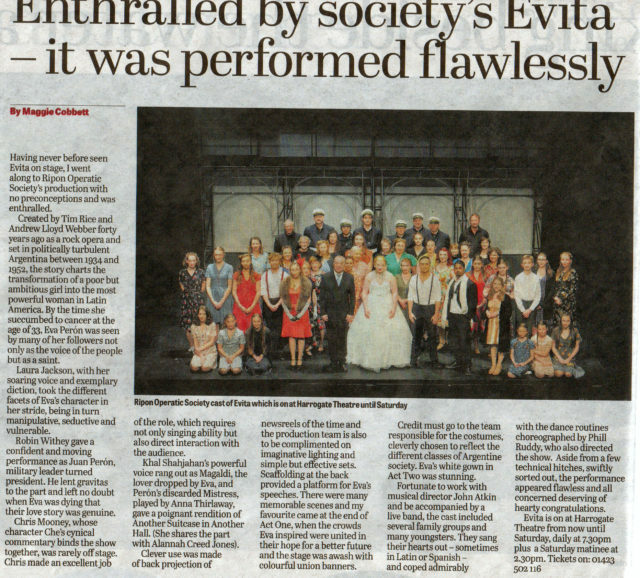 Evita: a cracking display of local talent! 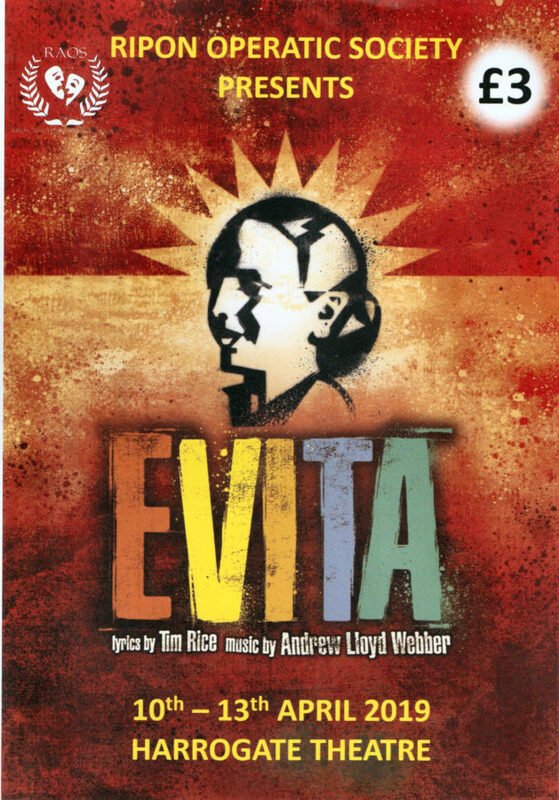 I always enjoy a good musical and the Ripon Operatic Society’s production of ‘Evita’ was no exception. So good I saw it twice, in fact. Once at the dress rehearsal and again later in the week. 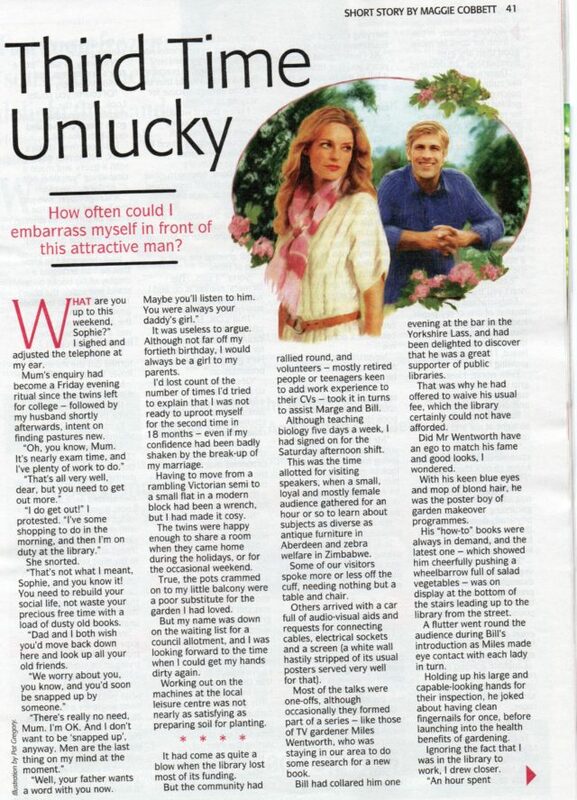 It was my absolute pleasure to review the show for the local papers. This is how my review appeared, only lightly edited. The Society has the full version, but I’d be happy to send a copy to anyone else who wishes to see it. Last night saw me being interviewed for David Driver’s show, the Writers’ Bookshelf. Knowing that the programme ran for two whole hours, I was very nervous but needn’t have been. David was the perfect host and put me at my ease straight away. A few minutes into the programme, I’d almost forgotten that I was on air and we were chatting away like a couple of old friends in a pub. David had certainly done his homework and asked me about many other aspects of my life as well as my books. Our conversation was interspersed with some of my favourite tracks too, which allowed time to relax and have a sip of water. Drystone Radio broadcasts on 103.5FM to South Craven and the Yorkshire Dales providing a local resource for information, events and great music. A podcast of my interview will be available for three weeks from drystoneradio.com/ondemand. 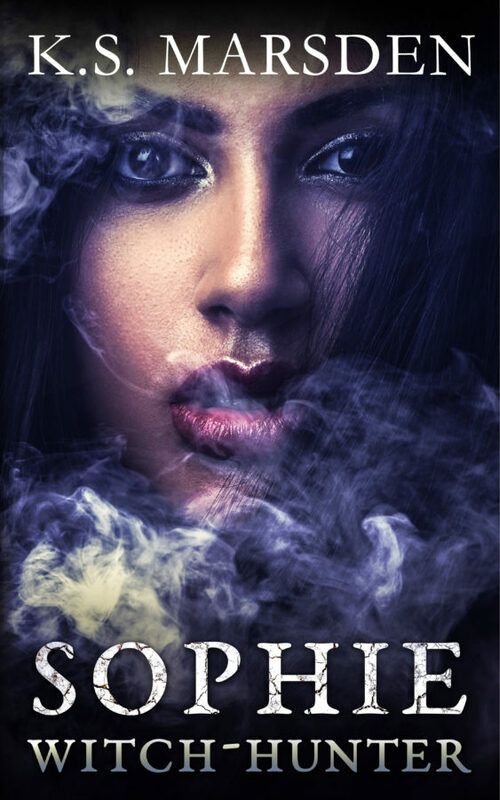 I’m always happy to support other writers and the following is a cover reveal for fellow PYA member K.S.Marsden. Good luck with it, Kelly! As stated, this is not intended to be a stand-alone, and relies on knowledge of the Witch-Hunter world. 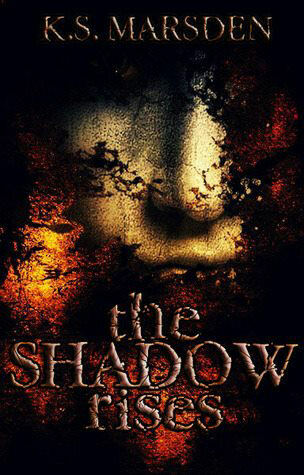 If you have not yet read The Shadow Rises (Witch-Hunter #1), you can pick it up for FREE. This should be a fun event. Please save the date. Ebooks? Paperbacks? What next? Following a strong recommendation from a writer friend, I’ve been spending a couple of hours on alternate Mondays in the Melrose Yard Studios in York. 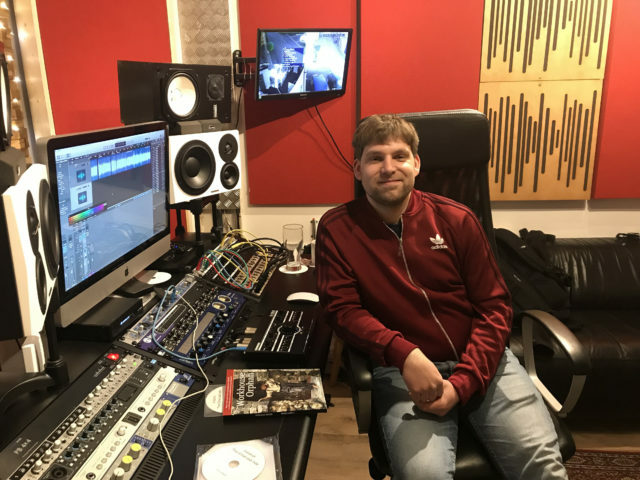 Sam Holdstock could not have been more patient or encouraging to a novice and the recording of ‘Workhouse Orphan’ is now complete. Watch this space for the release of my first audio book! 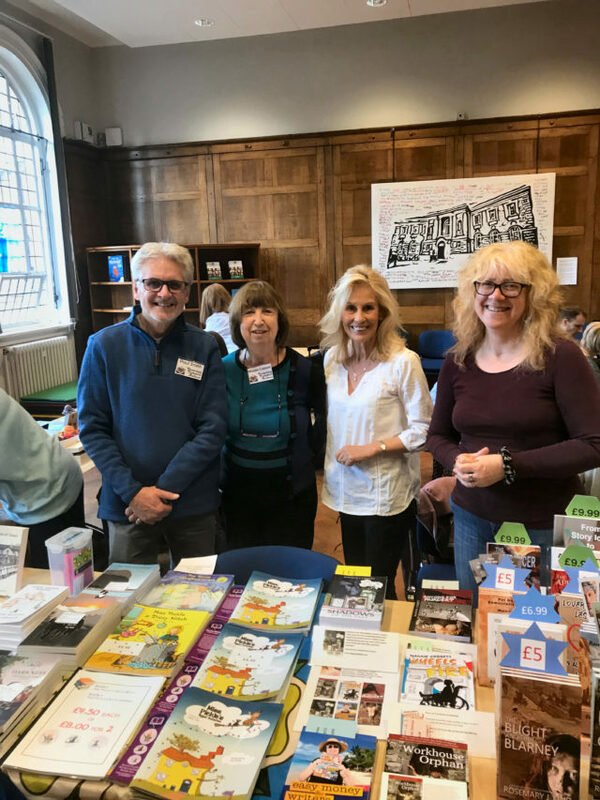 The York Literature Festival offered an opportunity to writers to offer their wares for sale in the central library (York Explore) this year. Paul Smith, Neelie Wicks, Rosemary J. Kind and I shared a table to represent PYA (Promoting Yorkshire Authors). When asked to take part in a PYA panel discussion on the above topic, I was unsure which of my books to talk about. 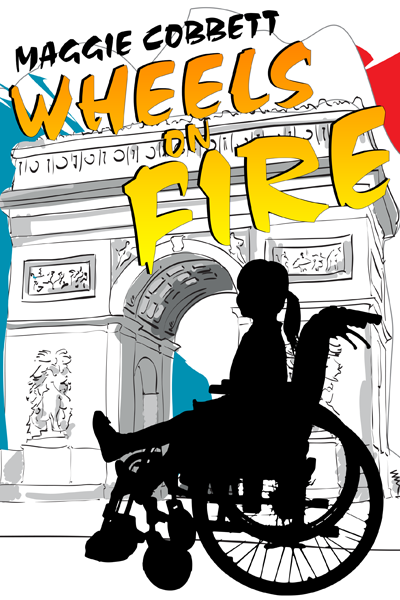 After all, ‘Had We But World Enough’ is all about people on the move and ‘Shadows of the Past’ and ‘Wheels on Fire’ both feature the mixed fortunes of English schoolgirls in France. 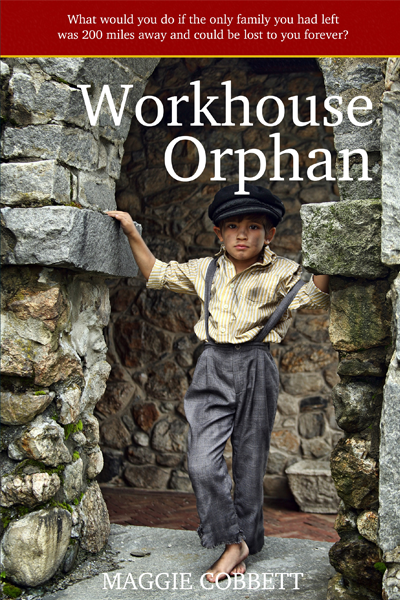 However, for my 13-year workhouse orphan from London, the West Riding of Yorkshire in the early 1900’s is an equally alien environment, so his story is the one I chose. 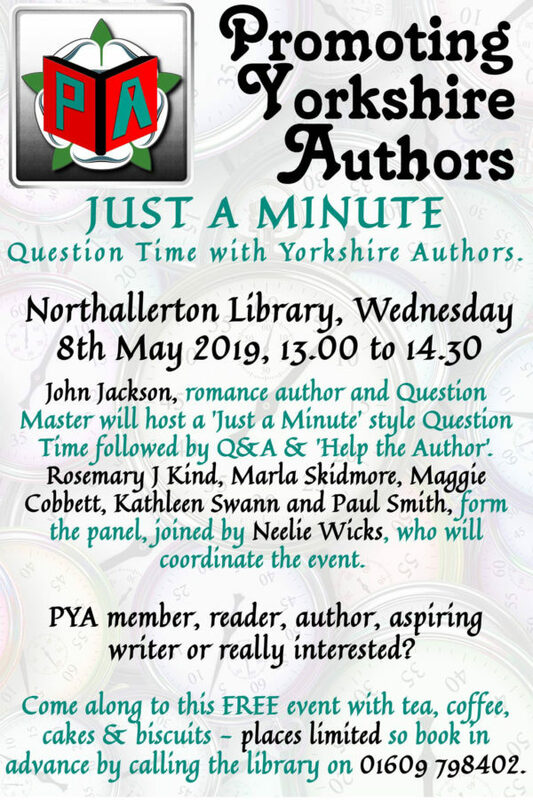 The discussion was chaired by Edwin H. Rydberg, the original inspiration behind Promoting Yorkshire Authors, which began with a mere handful of writers in York and is rapidly spreading county-wide. 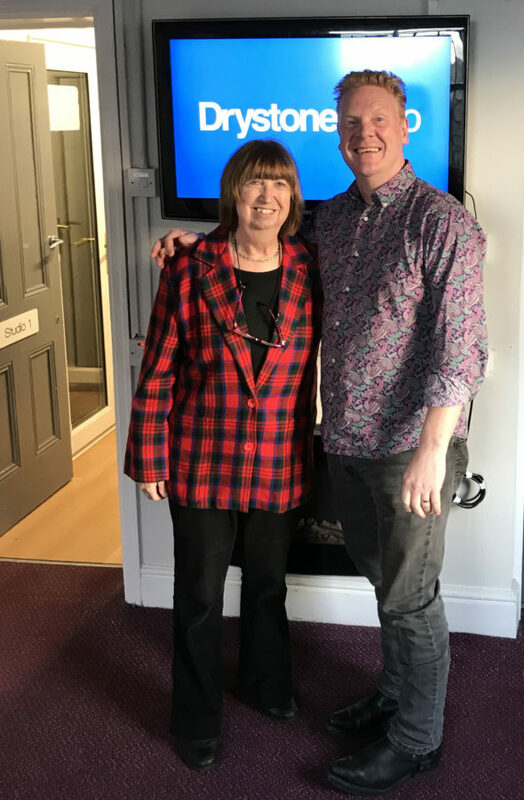 On the panel with me today were Rosemary J. Kind (‘New York Orphan’ and its prequel, ‘The Blight and the Blarney’), K.S.Marsden (the ‘Witch-Hunter’ series) and Darren Walker (‘Closed Shop’). 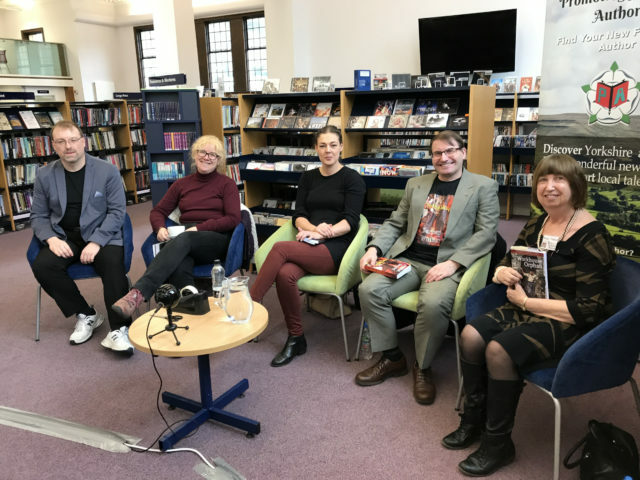 Harrogate Library, which hosts regular PYA sessions, was once again the setting – a haven of warmth and comfort on one of the wettest and windiest days of the year so far. 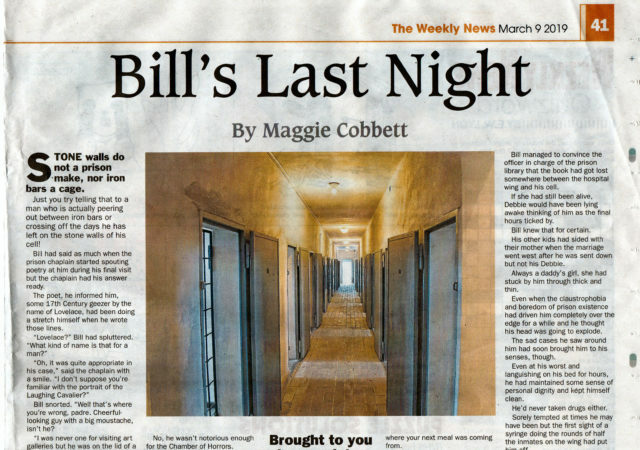 It’s been quite a while since my work last appeared in The Weekly News and this story is quite unlike anything that I’ve ever submitted before. 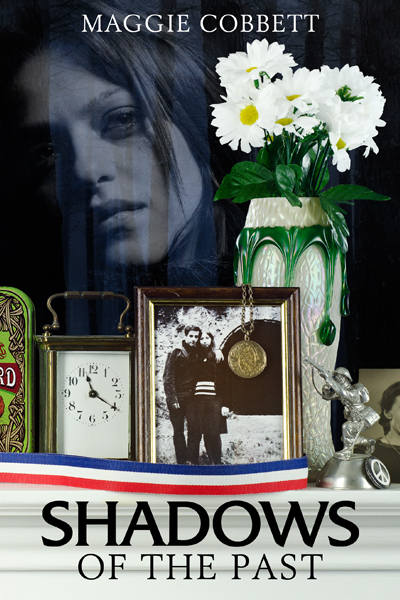 As soon as I came across Lovelace’s poem, written whilst he himself was incarcerated, the character of Bill began to form in my mind and refused to disappear. As he muses on what led him to his lonely cell and, even more, what the following morning holds, I hope that readers will begin to empathise with him. Some already have and tell me that they were taken aback by the twist at the end. If you’d like to read the whole story, please let me know and I’ll make it possible.